I would open MY OWN shop! And here I am, telling you the exact same words: “One thing led to another” and “I just fell into it”! (people don’t like talking about money, but I need to be real). So, THIS is what I would do if I wasn’t afraid to fail—exactly the same thing I am doing now (scared or not). ReStory will be my Painting Studio and Shop. It will be a space where people can learn about CeCe Caldwell’s All Natural Chalk + Clay Paints. I will do demos, workshops and even host painting parties (who doesn’t enjoy a good party, right?). ReStory will also be home to beautiful home décor products, the majority of them locally sourced. I will be posting more details about my journey and my new shop in the upcoming weeks. 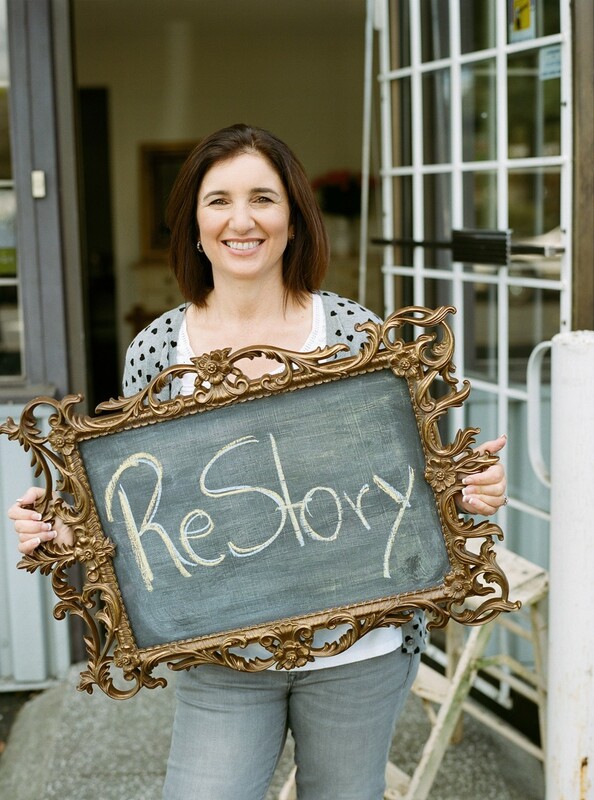 Please check out website and also my Facebook page for ReStory Launch Party details! Now, I have to ask you an important question.